Clay court king Rafael Nadal is the overwhelming favourite to win a third consecutive French Open title at Roland-Garros this year. The Spaniard has emerged triumphant a record 11 times here and no player in history has ever dominated a Grand Slam to such an extent. He is virtually unplayable on clay and he holds an outrageous 86-2 record at Roland-Garros, so it is difficult to imagine anyone toppling him at this year’s tournament. Yet every great reign has to come to an end at some point and there will be plenty of stars bidding to seize his crown this year. The only two men to ever vanquish Nadal in the French Open are Robin Söderling in the fourth round in 2009, and Novak Djokovic in the 2015 quarter-finals. He has beaten all the finest players multiple times on the Parisian clay and it is very rare for him to even drop a set. He is no slouch on other surfaces – he has three US Open titles, two Wimbledon titles and an Australian Open triumph to his name – but he really comes alive on clay. Nadal’s 86-2 record speaks for itself on the red dirt. Nadal has 17 Grand Slams under his belt, making him the second most decorated male tennis player of all time. Roger Federer is now just three ahead of him, and Nadal has a great opportunity to overhaul his rival by winning more Grand Slams than any other player in history. The Swiss has enjoyed a phenomenal career, but he is now 37 years old and he has crashed out of the last four Grand Slams in disappointing fashion. Nadal is still just 32 and careful body management means he should have another four or five years left in him. The French Open represents by far and away his greatest chance of racking up many more Grand Slam wins. 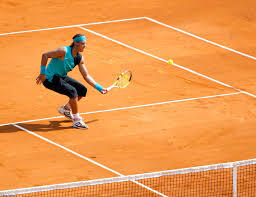 His record on clay is sensational against the world’s best players: he is 13-2 against Federer on the surface, 7-2 against Andy Murray and 6-1 against Stan Wawrinka, while he has dominated specialists like Juan Carlos Ferrero, Carlos Moyá and David Ferrer. 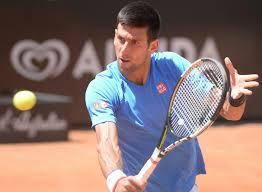 He has won eleven Monte Carlo Masters and eight Rome Masters titles, boasting a 57-8 record in clay court finals. He also holds the record for the longest single surface winning streak in the history of the Open Era, having one 81 consecutive matches on clay. These sort of statistics strike fear into the hearts of his rivals, and Nadal often has them beaten mentally before the match even begins. Just one man presents a truly compelling case for possessing the tools to topple Nadal at this year’s French Open. Djokovic is one of just two active players to boast a winning record against the Spaniard (the other being Dustin Browne, who is 2-0 against Nadal). They have met 53 times and Djokovic has won 28 of them, with Nadal emerging triumphant on the other 25 times. The Serb has dominated him on hard court, they are even on grass and Nadal leads 16-7 on clay. Djokovic has been in magnificent form recently, roaring back to prominence after an injury-hit couple of years, and he has won the last three Grand Slams. The Serb is now third in the list of men with the most Grand Slams to his name, just two behind Nadal and five behind Federer, so he could also emerge as the leader in this metric. 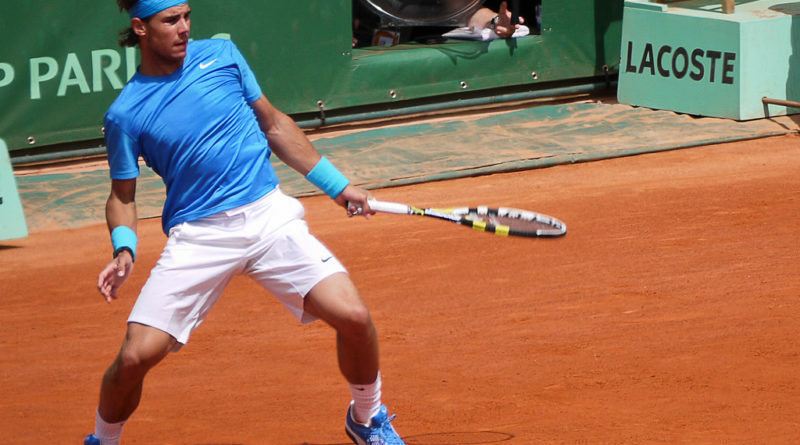 The Sporting Index French Open odds make Nadal the clear favourite to win the tournament, but Djokovic is a very credible second favourite and he has the experience, doggedness and power to make life very difficult for the Spaniard if they meet in the latter stages of the competition. What about the young guns? The older generation has utterly dominated the Grand Slams of late, with Djokovic, Nadal and Federer monopolising the last seven of them. The young guns have displayed plenty of promise, but they typically seem to flop at crunch moments in Grand Slams. That is particularly true of Alexander Zverev, who always flatters to deceive, while Nick Kyrgios can never seem to deliver upon his potential. A new generation is emerging, with the likes of Stefanos Tsitsipas looking strong, but it is hard to imagine any of them causing Nadal too many problems. 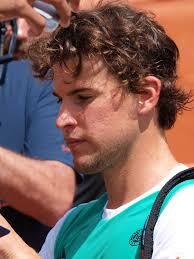 Many feel that Dominic Thiem is the Spaniard’s heir apparent on clay. The 25-year-old Austrian is another clay court specialist and he has beaten Nadal on the surface, so his credentials are strong and he is getting better each year. But Nadal dismantled him in clinical fashion with straight sets victory in last year’s final, and he should be able to take the younger man apart once more at Roland-Garros this year. The only way to beat him is to claim the first set, as he has never lost a match on Parisian clay after clinching the opener, and that is a big ask for a relatively inexperienced player like Theim. Djokovic remains the greatest threat to his throne, but Nadal is very likely to emerge triumphant once more this year. ← Why aren’t Novak Djokovic and Kei Nishikori discounting Roger Federer’s prospects on the clay?